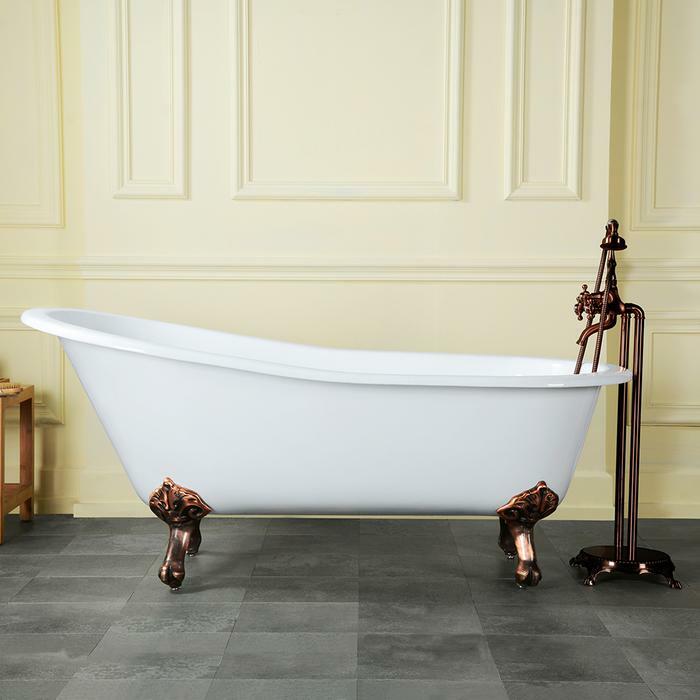 The Giselle is a small slipper tub with elegant imperial feet. The back rest of the tub gracefully rises above the tub and the flat rim gives it an updated appeal. No faucet drilling so this bath can be paired with freestanding or wall mounted faucets. 57 3/8" x 29 1/2" x 30"